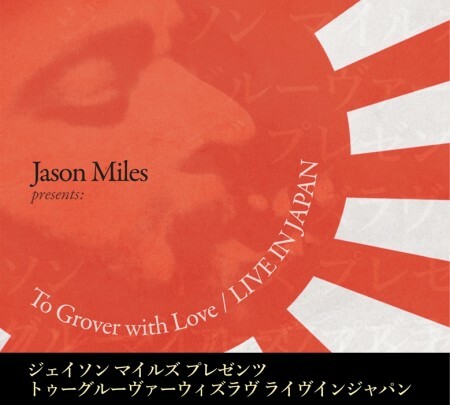 Jason Miles Captures The Spirit of Grover Washington, Jr. - TheUrbanMusicScene.com | Music Reviews! Washington was a multi-faceted man, one who could wax blazing and fiery then turn mystical and mellow…depending on how high he cranked up his burner and which saxophone he chose to play. He also possessed very distinctive sounds both as a player and as a composer – known to start off cool, lay plenty of logs on the fire, then blow those bad boys back down with a cool breeze befitting “Black Frost.” And he laid his classics down with some of the most seminal musicians, arrangers and engineers of the era. Therefore, anyone attempting to revisit Grover’s music truly needs to be on-point…and brave. To be clear, none of this music will make you forget Grover…it’s not intended to. But for those that long to bask in Grover’s familiar glow as funneled through the artistry of cats up to the task of paying “inspired by” homage, this is a respectful yet passionate bow to the long shadow of Grover.